Play Games, Heal Kids. Extra Life Game Day is this weekend! 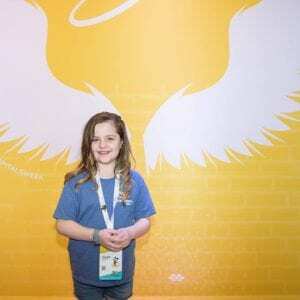 There’s a story behind the halo and wings this CMN Hospitals Champion, Chloe, is standing in front of. They represent the memory of a little girl named Tori who lost her battle with cancer ten years ago. Since then, thousands of gamers have mobilized their efforts for children’s hospitals that care for kids like Tori. Game Raiders – November 3, 2018 from 10:00 am – 6:00 pm. Location: 11230 W Hillsborough Ave, Tampa, FL 33635 located @ Next Ridge Games. Learn more about what Extra Life is doing at: extra-life.org.